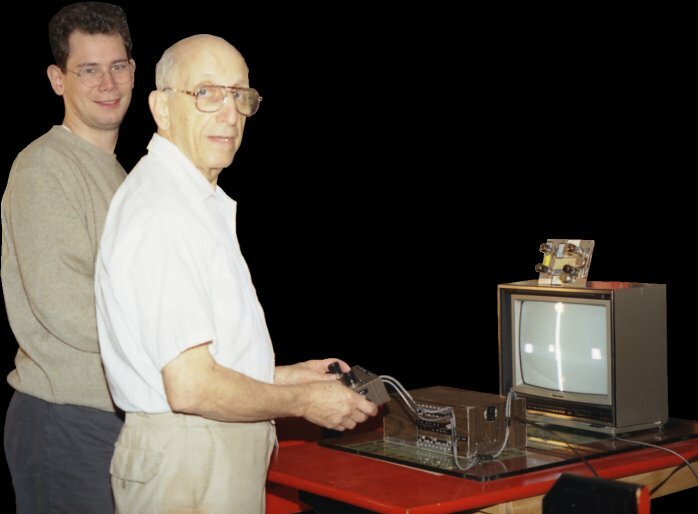 Inventor of the video game. game systems built between 1966 and 1968 at Sanders Associates. Small tube chassis on TV: first prototype (1966). 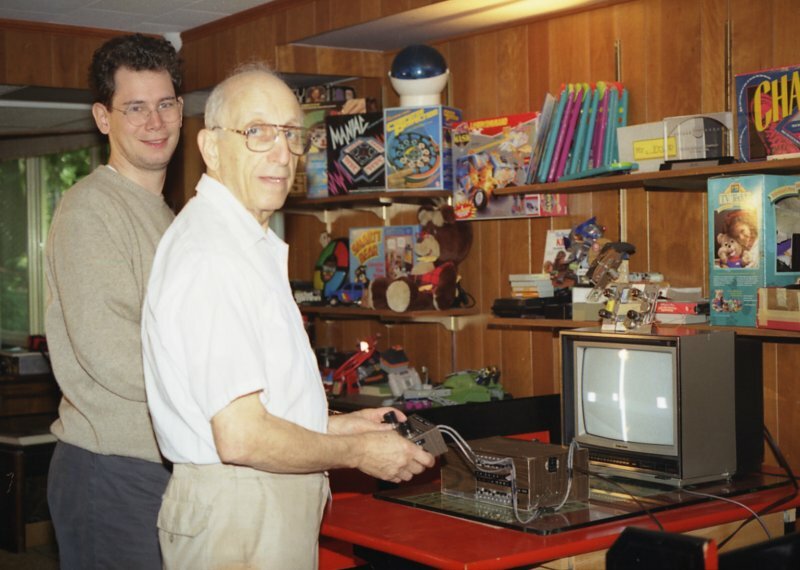 Click here to view the original photo in Ralph's basement with many of his inventions.